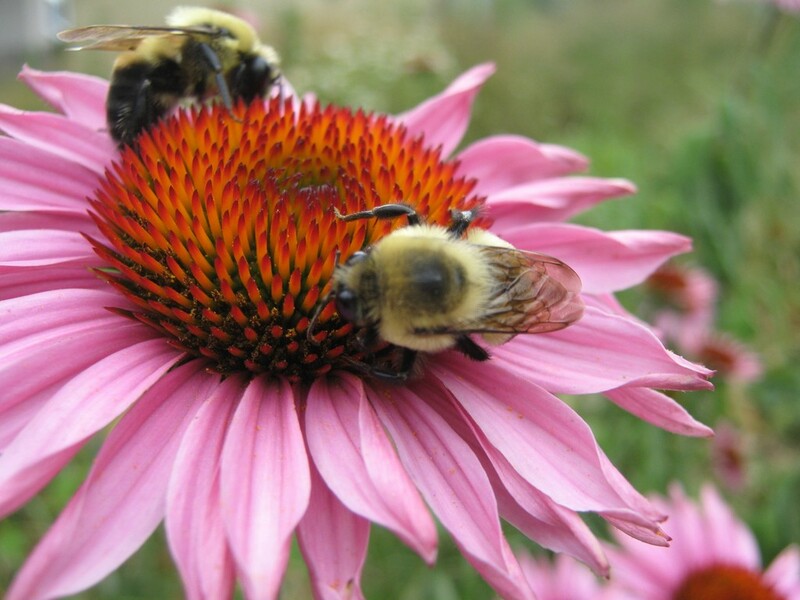 Friends of Bees are assembling this list of nurseries in the Boston area where you can find seeds and live plants that have not been treated with neonicotinoids. Organic plants have not been treated with persistent pesticides. If you are not in the Boston area, please ask at your favorite nurseries about neonicotinoids. You may also download a resource sheet listing this information here. Seedling sale in 2014: Place your order by March 29, and pick up plants at one of several locations in the Worcester area on May 3. Focuses on plants to attract bees and other pollinators. Herb sale in 2014: May 2-4 and May 10-11. Herbs are raised with organic practices, although not all seeds are organic. Annual seedling sale in 2014: Pre-orders must be postmarked by May 1. Pick-up at the farm on May 8. Organic herb, vegetable and flower seedlings. They also offer local flowers for weddings. Herb sale in 2014: May 10. Includes some flowering annuals. Everything is 100% organic. Seedling sale in 2014: May 10 and 17. 100% Organic vegetables, herbs, and annual flowers. Seedling sale in 2014: May 17-18. Everything is 100% organic. Seedling sale in 2014: May 17-18. Organic vegetables, herbs, & flowers. Heirloom varieties and new plant breeds. Plant sale in 2014: May 23, 24, 25. This historic farm is a great source for heirloom vegetables. All flowering annuals and vegetables are 100% organic. Some perennials are of uncertain origin. Once the plants arrive at Pemberton’s, no pesticides are used. Many of their herbs come from Gilbertie’s Herbs in Westport CT, which is all-organic. Organic plants are in orange pots. Organic practices, though not certified. Perennials, Annuals, Herbs and Vegetable Starts. Wildflower seeds and bee hotels. Farmstand and CSA. Greenhouses use IPM and biocontrol. Annuals, perennials, vegetables, and shrubs. Farmstand. Vegetable plants are all organic. Perennials they raise themselves are not treated with neonicotinoids. Plants from other sources may have been treated with pesticides. New England Wildflower Society. Their garden shop is the best source in the Boston area for native wildflowers. Re-opens April 12. Organic. Native flowering plants, flowers, and perennials to attract bees and butterflies.